Center for Micro and Nano Devices for versatile applications is set up through a development grant by the Higher Education Commission of Pakistan. The purpose of the Center is to have the capabilities of designing and fabricating semiconductor devices for various applications. The Center is first of its kind and is fully equipped with device fabrication facilities. The aim of Center is also to produce trained human resource in semiconductor processing. Major projects being carried out in the Center are on development of environmental and biological sensors, particularly addressing the needs of the country. The major thrust is to combine the bottom – up and top – down approaches to develop devices for applications. The Center has five faculty members and a number of graduate students working in different areas of nano science and technology. The lab is actively working on problems related to environment and energy. Currently we are doing research on BioSensors, Optical and Sensing Properties of Nanostructures, DNA SAMs etc. CMND is already collaborating with the world's best research institutes like ALICE, CERN etc.We are ready for any collaboration in the different fields related to semiconductor devices, bio sensors and optical sensors. CMND faculty and students are actively participating in many international and national conferences. You can find the award winning posters in this section. 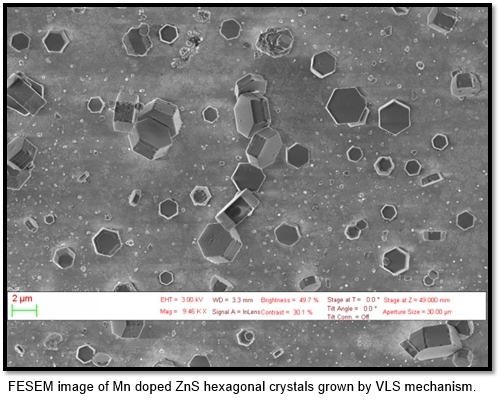 FESEM image of Mn doped ZnS hexagonal crystals grown by VLS mechanism. 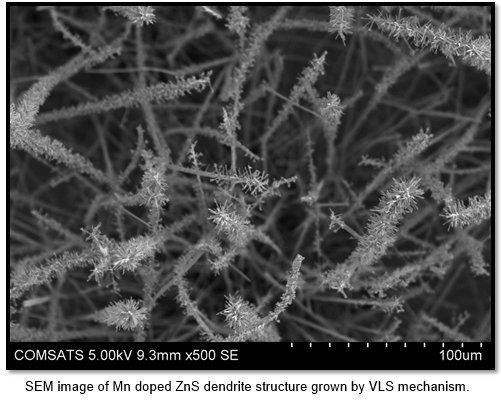 SEM image of Mn doped ZnS dendrite structure grown by VLS mechanism. 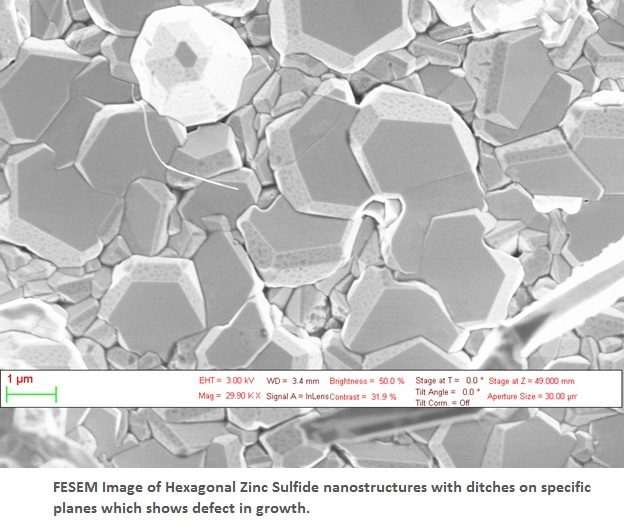 SEM image depicts the eutectic alloy of Sn-Si annealed in inert atmosphere. These alloys are oriented in specific nucleation sites, leads to aligned growth. 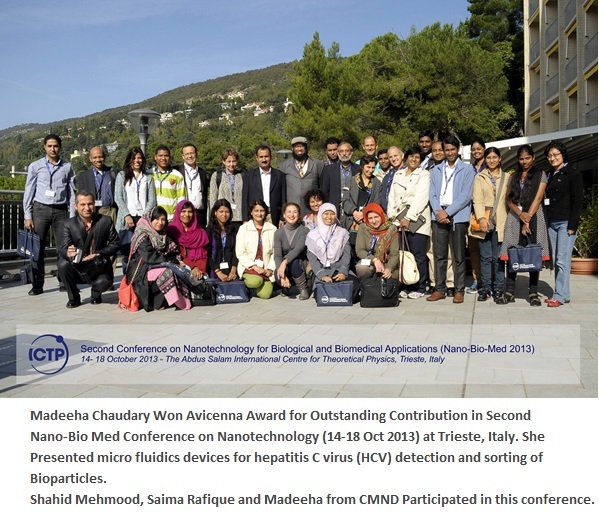 Madeeha Chaudary Won Avicenna Award for Outstanding Contribution. 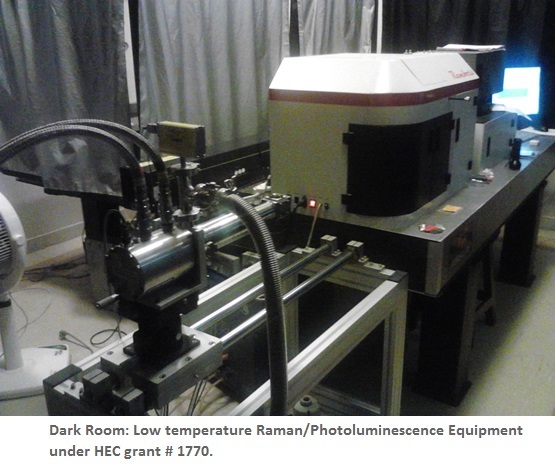 Optical Spectroscopy:Low temperature Raman/Photoluminescence Equipment under HEC grant#1770. Fahad Bhopal, Arslan Shehzad and Abdul Rehman participated in the "International symposium on Nanomaterials". 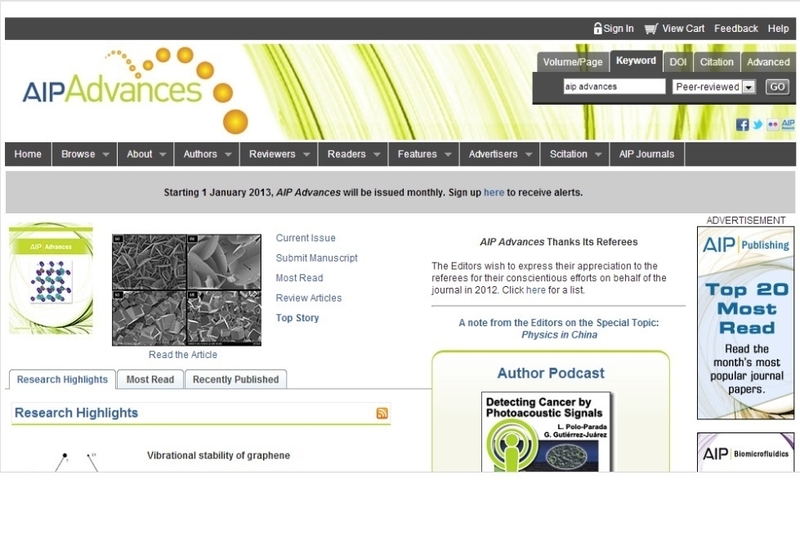 Arslan Shehzad's paper made on AIP ADVANCES journal's cover page. Prof Dr. Arshad Saleem Bhatti awarded with Tamgha-e-Imtiaz. CMND organizing international conference on nano material for environment, energy and nano ethics. Awais Ali, A PhD scholar of CMND, wins the best poster award in 36th international Nathia gali Summer College. PARK ROAD, CHAK SHAHZAD, ISLAMABAD, 44000 PAKISTAN.